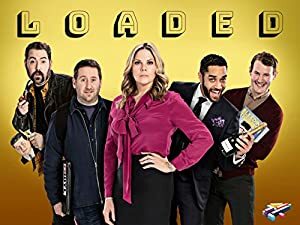 Loaded – Season 1 (2017) – What's New on Netflix Canada Today! Four friends who become multi-millionaires when they sell their video game company for a clean £246 million and overnight, the four friends are transformed from “people who play games” to “serious players in the game…” – or are they? Four friends who become multi-millionaires when they sell their video game company for a clean £246 million and overnight, the four friends are transformed from "people who play games" to "serious players in the game…" – or are they?